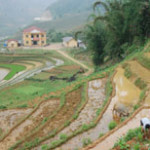 This is a budget and group tour from Hanoi to Sapa in 3 days and 4 nights with option to stay overnight at the local house in Ta Van Village. Place to visit: 6 villages (Cat Cat, Y Linh Ho, Lao Chai, Ta Van, Giang Ta Chai, Su Pan) of 3 different minorities (Black H’Mong, Dzay, Red Dao). 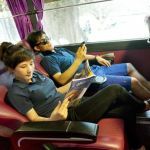 Get started: Take the night train from Hanoi Railway Station to Laocai Station. Sleep on the train. 15h00: Arrive in Ta Van and stay in the Day family. 09h30: Continue for the next village of the Red Dzao minority (Giang Ta Chai village). Visit silver waterfall and a nice rattan bridge. Cross the river and go up to the mountain for Su Pan village. 13h00: Take a Bus back to Sapa. Check in hotel. 17h00: Get on the bus to Laocai station for the night train to Hanoi (air-con. berth). The end of the tour. Other meals in Sapa Town are recommended to be booked in advance. English speaking. 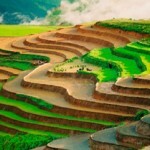 All of our Sapa Tour Guides are tourism-reponsibly educated. 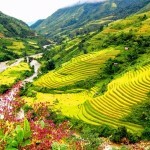 They were born and raised in Sapa and Vietnam, thereby having first-hand expert knowledge of their Sapa Area. They are friendly, fun, and most of all they are flexible, allowing you to choose the pace of your tours. Please keep in mind this is a GROUP TOUR so feel free to ask Sapa travel specialist to book a PRIVATE TOUR to have the most flexibility. Once you are satisfied with the group tour itinerary, we will secure the services and you will be required to pay a deposit of 30% of the total cost of your trip. The balance of payment can be paid either by CASH UPON PICK UP in your hotel in Hanoi or Sapa, or by credit card/ bank transfer/Western Union 45 days before Sapa Tour. Please discuss these payment options with your Sapa travel specialist, for more detailed information. Train ticket fares are required full payment in advance. Contact us to book the tour “Budget Home Stay Tours” in Sapa. We can offer promotions in low season.